Enjoyed Watching the London Marathon? Try Running 30 miles in 30 days! | Life, Sport and Diabetes - An everyday look at my life with type 1 diabetes. Enjoyed Watching the London Marathon? Try Running 30 miles in 30 days! This weekend saw the event of the Virgin London Marathon 2013 being held in England, where 36,000 runners showed up to run the gruelling 26.2 miles around the streets of the city. Some ran and some walked but its safe to say the majority found it the challenge of a lifetime. So just imagine doing a marathon... everyday... for 30 days in a row! 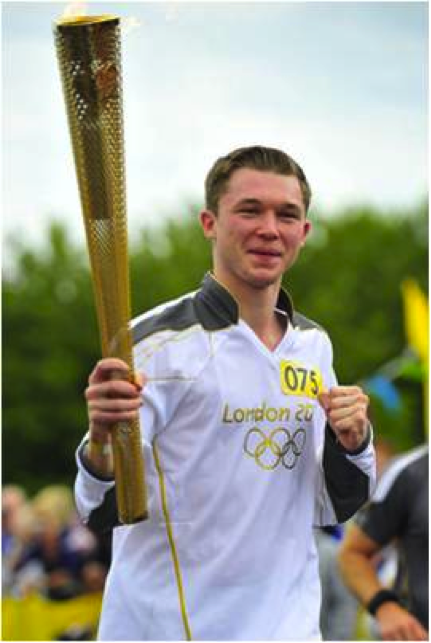 This is exactly what super athlete and also type 1 diabetic Gavin Griffiths is doing, starting the 27th April 2013. His plan is to start in John O'Groats travelling the length of Great Britain, finishing up in Land's End on the 26th May 2013. Gavin will be travelling through areas of Scotland including Inverness, Aberdeen and Edinburgh. Onto the north of England from Carlisle to Blackburn and then onto Liverpool. Then onto the Midlands into Birmingham and Worcester and then finally he will finish in the South West of England in Bristol, Exeter and Bodmin. Before he gets into Land's End to complete his greatest distance of 34.5 miles to complete the amazing journey. I first met Gavin at the Young Leaders Action Group conference (YLAG) held this month in London, when he told me about his 30/30 challenge I couldn't believe he was aiming to complete such an amazing feat. When I asked why he felt so inspired to cover the 900 mile challenge, his response was one that mirrored my own. He said that "I want to show people that just because I have Type 1 diabetes it doesn't have to stop me, and that's the message I plan to carry with me on my journey". This is also the message he delivered as a fellow Olympic Torch bearer last year in 2012, and probably one of the many reasons he was nominated. Looking at Gavin's support video so many famous people have gotten behind him to show their support, you can't help but be encouraged by the positive message he's spreading. Famous faces including Jasmine Harman and David Haye both feature on the video and tell their message of support and awe at the massive feat Gavin has planned, it's definitely worth a watch on YouTube. 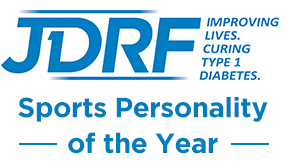 The secondary aim for Gavin as well as raising awareness of the condition, is to raise money for both Diabetes UK the charity for people with both Type 1 and Type 2 diabetes of all ages. And also JDRF the juvenile diabetes research fund- an equally fantastic charity that specifically helps fund research and provide support for children and young people with diabetes. 3. Or you can meet him and donate along the route!